China is determined to pursue the internationalisation of the renminbi on a market-oriented basis, says Yi Gang, vice governor of China’s central bank. “It is the basic policy of the People’s Bank of China (PBOC) to let the renminbi compete with US dollar or euro fairly in the international market,” Gang said in an interview on the sidelines of the annual meeting of the World Economic Forum (WEF). 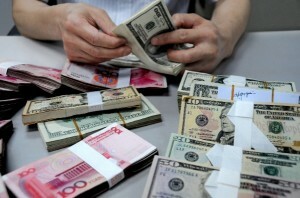 China’s currency is still not traded easily or accepted worldwide. “What we are doing now is nothing but remove discrimination against the renminbi and let it act just as other reserve currencies,” Gang said. This comes a day after former US Treasury Secretary Lawrence Summers said the renminbi is unlikely to supplant the US dollar as the world’s reserve currency in the near future. “Whether the pace of the internationalisation is a little bit quicker or slower, it is always and completely the choice of the market,” he added. “I would be actually pleased to see people have more confidence in the renminbi and choose it over other currencies thanks to a more sophisticated market, better implementation of China’s monetary policy, China’s macroeconomic stability and social stability, and stronger rule of law,” he said. Gang has also raised concerns about quantitative easing pursued by some nations. “Japan, the United States and the European Central Bank have also adopted policies of quantitative easing, which would drastically increase global liquidity and cross-border capital flow, either inflow or outflow, which is unstable,” said Gang.